Experience beautiful greenery and a series of waterfalls as you hike your way up Bukit Hijau. It will leave you breathless with a set of amazing crystal clear water. What to expect? Located about 112 KM on the south-east of Alor Setar, deep in the forest of Gunung Inas in the Baling district is Peranginan Bukit Hijau - a great highland retreat for those inclined for the greenery. A 3 KM trail through a virgin forest reserve leads up to nearby Gunung Inas at 1,454 meters. Also known as Lata Bukit Hijau Recreational Forest, it is famed for its amazing seven-level cascading waterfalls that create seven pools of cool, crystal clear water. Not many are aware of Bukit Hijau, not even the Penangites. However, for hiking lovers, among them, sometimes the name Bukit Hijau is mentioned. The hill rarely gets a crowd because of its popularity. The hike will take around a measly 20 minutes to reach the top and about the same time to reach the bottom. The path is mostly steps made of bricks and broken stones therefore a good pair of covered walking shoes will be ideal. The path is rather shaded so it quite a pleasant walk up. What to see there? There are about 3 viewing points but only 2 of those provide a good panoramic view of Penang. One is looking towards Ayer Itam towns where one gets to see Penang’s Kek Lok Si Temple Complex from far with townships at the bottom. 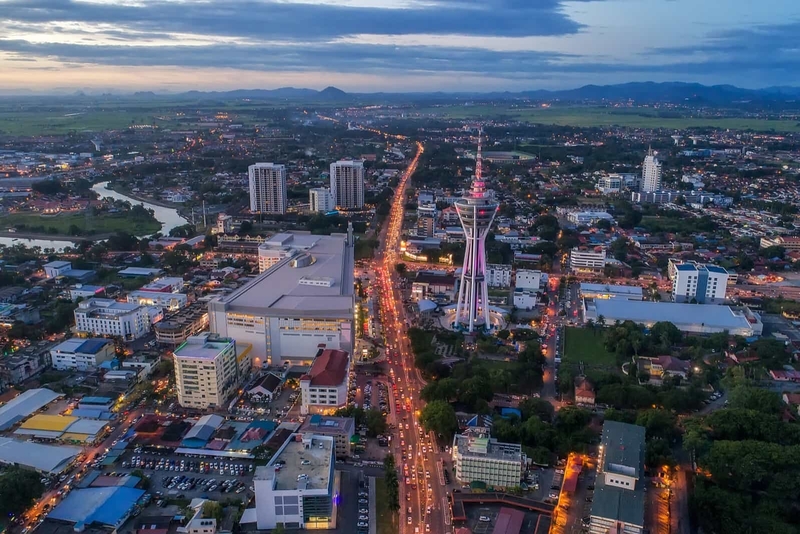 The other viewing point is actually a big rock and you can get to stand on the rock and view the city of Georgetown and Bukit Mertajam from far. What to bring? Be sure to wear appropriate hiking shoes as the trail is mostly made of broken stones. Wearing hiking shoes will lower the chances of slipping or being tripped. If you bring along any children, make sure to not let the children be on the boulder alone. As there are no safety grills and fencing around the rocks. Be sure to bring the standardized supplies for mountain climbing such as water supplies, high energy snacks, raincoat, hiking stick, first aid kits just to be on the safety zone. There are no reviews on Adventuring Bukit Hijau. If you’ve been here before, write a review to share your experience.